We offer edge protection products and systems for all types of situations where there is a risk of falls. 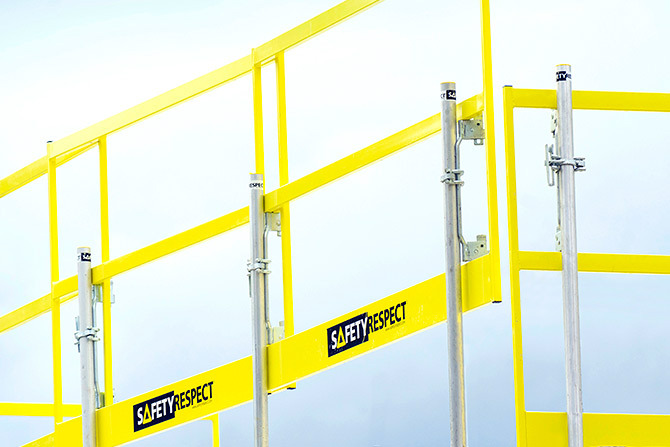 We are constantly developing new products, services and solutions in order to meet the requirements of creating safe working sites. We offer sales, leasing and installation of our edge protection solutions. Logistics, showroom and availability are managed mainly via our own depots, where the proximity to our customers is an important factor. We provide technical support for our edge protection products and systems throughout the construction project. As we develop and manufacture all our edge protection products ourselves, we have all the skills to project and solve all edge protection situations that may occur in a construction project. We can also customize edge protection solutions based on customer needs.